KAWASAKI T10 LED BULB SoCalMotoGear.com - Professional Grade Motorcycle Lighting - Plug N Play Products - "Riding at night has never been brighter!" SoCalMotoGear LEDs are warranted against defects for a period of 1 Year, unlike 60 days from other outlets, satisfaction guaranteed. Always verify your bulb type before ordering. Road tested by actual Kawasaki owners. 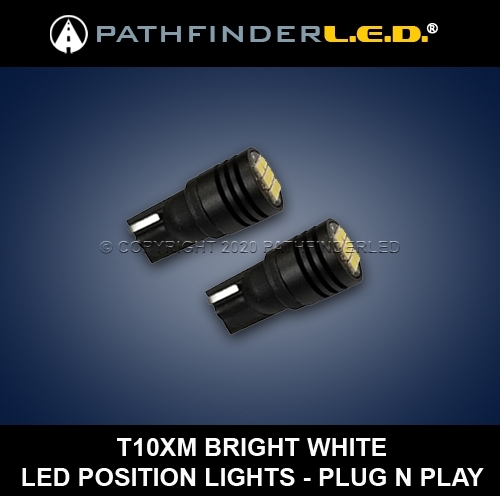 The LED light upgrade is an affordable easy to install upgrade to the OEM lights. Easy to install attention getters. Just what I was looking for - enhanced visibility. Hoping they will last. Thank You and will buy from you again!